Tagged MRI provides a potentially powerful new way to non-invasively assess the regional function of the heart. Although its potential has not yet been fully realized, due to remaining technical limitations in image acquisition and analysis, good progress is being made to overcome these limitations. 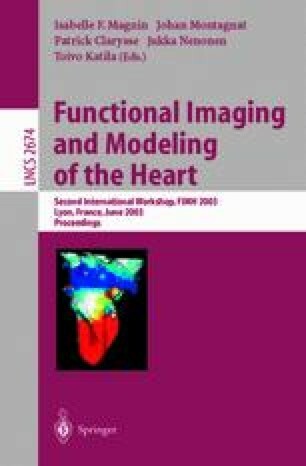 Current research focuses on improving imaging methods to obtain high resolution 3D spatially registered tagged images, designing more efficient methods to extract the heart wall contours and tag positions within the wall from the tagged images, and implementing efficient ways to reconstruct the 3D motion of the heart from this data. In addition to the new regional motion and deformation data that tagged MRI can provide on normal and abnormal cardiac function, we can potentially use this motion data to model the corresponding forces within the heart wall.